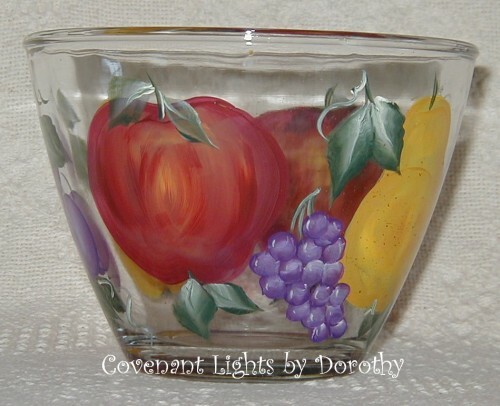 Clear glass bowl encircled with vibrant hand painted fruit ... apples, pears, plums and grapes. 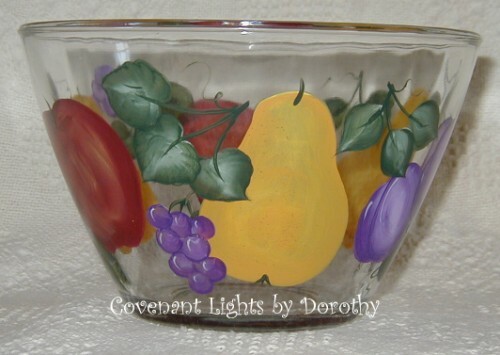 This is a heavy glass bowl that holds 2 quarts and is approx. 8" wide at the top and 5" tall. 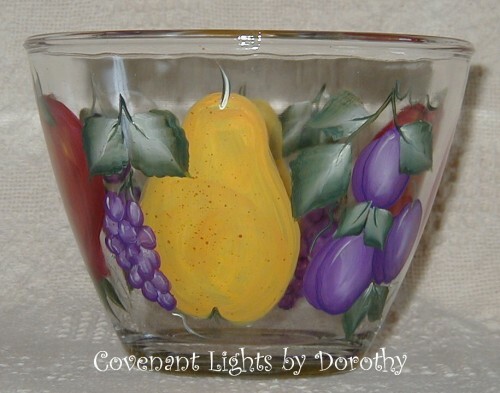 Perfect for taking fruit salad to your family or church gatherings. 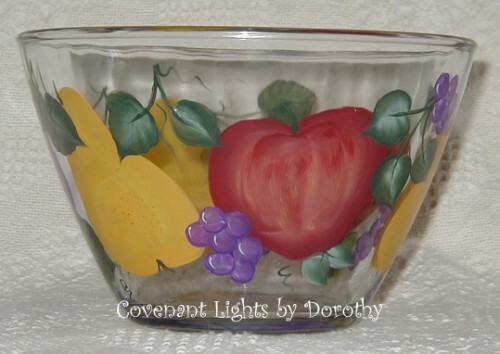 This is a heavy glass bowl that holds 1 quart and is approx. 6" wide at the top & 4 1/4" tall. 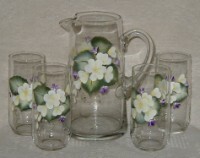 Pitcher and 4 matching glasses hand painted with white and violet flowers and greenery. 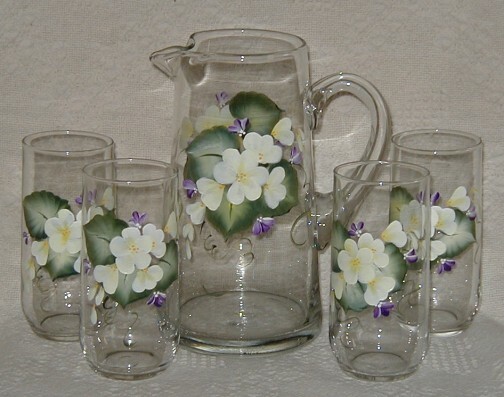 Perfect for serving lemonade or ice tea on the patio. Hand wash only.